We had been working on Henry Gates Security Systems Pay Per Click campaign for around seven years before they approached us in 2014 to discuss creating a brand new website for them. They were looking for something more responsive and mobile-friendly to move the company forward and bring their online presence more in line with how users would be searching for their services. Their previous website was working, but it was becoming outdated and was crying out for a contemporary, fresh design. 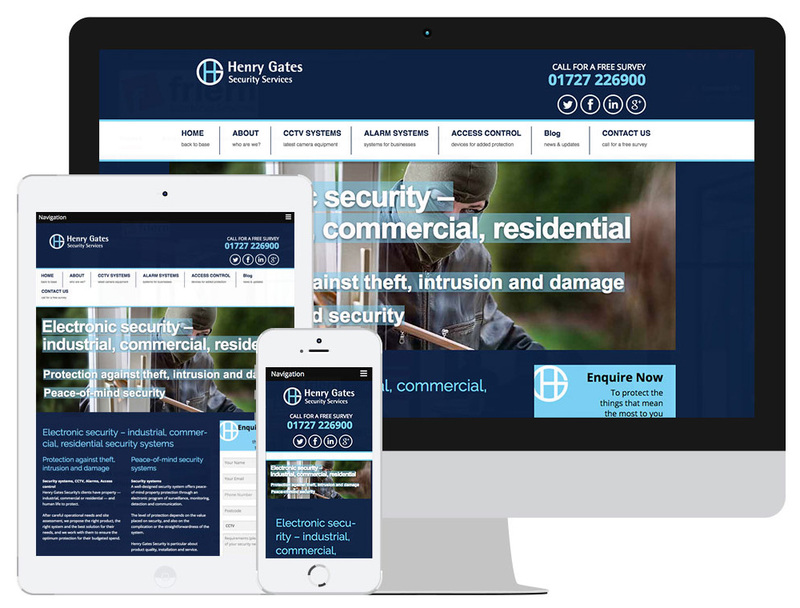 Henry Gates Security Systems were used to us delivering business for them, and it was vital that the new website continued to do so. We did not fail on this, and the statistics speak for themselves: organic traffic rose by a staggering 101% in the first 12 months the site went live, showing the impact a well optimised site can have. The bounce rate was also reduced by 46.5%. As mentioned, one of the reasons for the new site was to make it more mobile-friendly, and, again in the 12 months since it went live, mobile traffic grew by 83% and the mobile bounce rate reduced by 21.2%. Not only did we create a site that did exactly what they needed it to, we also began providing monthly blog posts to ensure that there was always new content added to the site. This has helped increase the organic traffic to their site. More recently, we have organised remarketing for Henry Gates Security Systems – this is where customers who don’t convert when they visit the website the first time are “followed” by Henry Gates Security Services ads which will appear on other websites a customer goes to. This is financially beneficial as the cost of a conversion in remarketing can be as low as 30% of the original cost. Companies should never underestimate the value of a good review. We set up a testimonials page for the site so that Henry Gates’ customers could let others know of the good service they have received. The testimonials build trust with future customers and could be the extra push one needs to use your services. Take a look at Henry Gates website! To discuss your options or if already know what you want Contact Us Now at Click Return.